i.e one that holds well, comes with a students price tag, and suits everyday use. In my opinion though, it’s been a long time since there was a good one on the market. Scharzkopf’s Taft Full On Glued proved to be a bit of a mare. The fact that it hardens very quickly isn’t ideal for the novice hair styler, who can’t guarantee perfection on the first go. True, it’s water resistant, but it’s incredibly hard to rinse at the end of the day. So much so, I would prefer my hair got wet and the gel came out anyway. Enter American Crew’s Moulding Clay. Even the name is more convincing. Their ads suggests we’ll transform into a man in a tailored RL suit, with the use of their hair products. Maybe this isn’t the case, but from my experience, we’ll sure as hell get a lot closer to this modern-day manly image than we were before. Unfortunately, we’ll pay for such a look. I had hummed about buying an American Crew gel for a while. Priced at $44 for an 85g tub of Moulding Clay, I only gave in due to it’s good reputation. It didn’t help that I was impatient with the gel I was previously using either. Infused with Natural Beeswax and Essential Oils, American Crew not only holds hair in place, it conditions the hair and scalp too. As usual, you pay for the quality, but willingly, since it pulls through. The gel maintains hold of the hair throughout the day (i.e one can actually move), and releases a subtle and natural fragrance of orange, spearmint, peppermint and lime oils. I recommend towel drying your hair before applying the Moulding Clay, to highlight the medium shine. 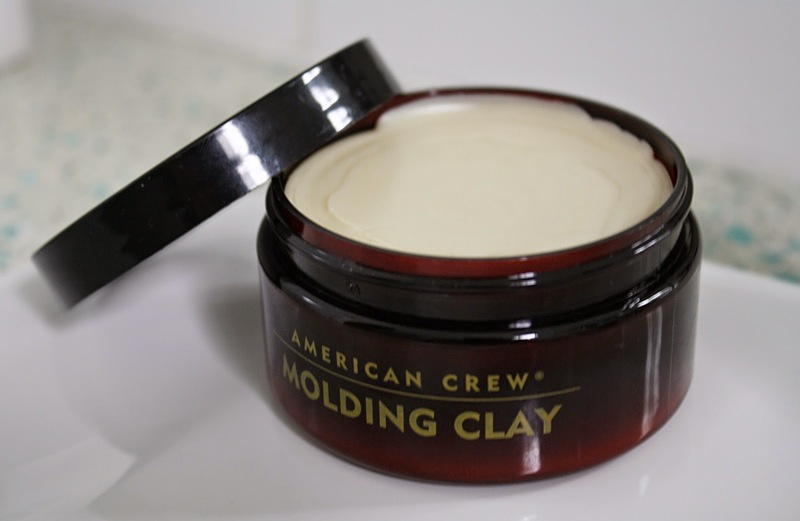 Even though $44 seems pretty steep, I think I’m hooked on American Crew’s Moulding Clay. It’s going to last me longer than another gel, because I don’t have to fuss over re-doing my hair for work in an evening. American Crew allows me to replace and reset my hair’s position without excess gel. Finally, I can sleep at night (kidding- not really).